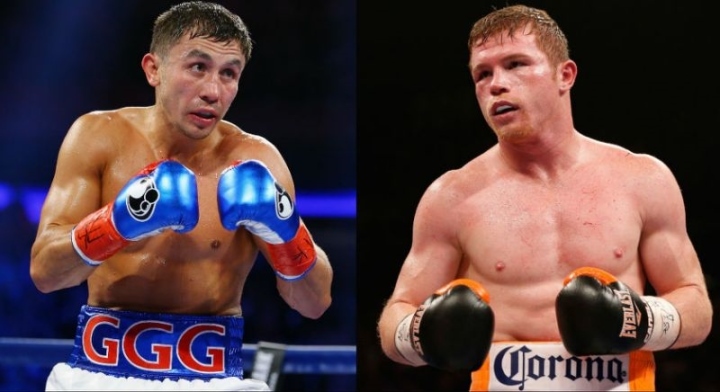 Abel Sanchez hasn’t seen Gennady Golovkin get knocked down, but Golovkin’s trainer thinks that could happen when he squares off with Canelo Alvarez on September 16 in Las Vegas. Sanchez said during a conference call Monday that he expects Golovkin and Alvarez to hurt one another during their middleweight title fight. He added that he can envision a grueling fight in which both boxers hit the canvas. Neither Golovkin nor Alvarez has been knocked down as a pro, which spans a combined 88 fights. The veteran trainer assured reporters on the conference call that he hadn’t made those statements for the purpose of promoting an already highly anticipated middleweight title fight. Kazakhstan’s Golovkin (37-0, 33 KOs) has knocked out 23 of his past 24 opponents, but Sanchez is impressed by how much Mexico’s Alvarez (49-1-1, 34 KOs) has improved in recent years. “I have respect not only for [Alvarez’s] punching power,” Sanchez said, “but I have respect for Eddy and ‘Chepo’ Reynoso doing the things that are necessary to counteract some of the things that we’re gonna be doing. I think it’s a fight where it’s gonna be a chess match at the beginning. Golovkin, 35, is a slight favorite against Alvarez, who’s eight years younger than him (-155/+125). Their scheduled 12-round fight for Golovkin’s IBF, IBO and WBA middleweight titles will headline HBO Pay-Per-View’s four-fight telecast September 16 from T-Mobile Arena ($74.95 in HD).